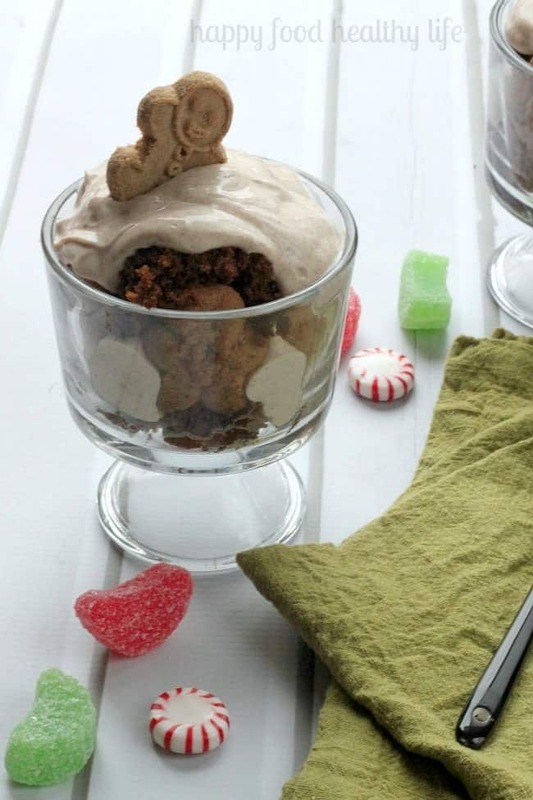 These Healthier Gingerbread Trifles become a smart option because of the healthy ingredients I substituted in. I’ve gotta admit something to you guys. I am absolutely exhausted these days. For one, I managed to post something every single day this week here on the blog, which has been a huge effort and has resulted in many late nights and some huge frustrations with the constant cloudiness in the skies, which does not make for happy picture-taking. Secondly, just the sheer fact that Christmas is less than a week away now! All last weekend was spent shopping, maneuvering cars and carts, and spending way more money than I planned on. I’m truly just ready for the kiddo to be on Christmas break so we can watch Christmas movies, play games, and just enjoy each other before life goes back to normal schedules. I plan on reading books and possibly spending hours watching Netflix and playing Sims 4 (yes I’m kind of a gaming nerd when I have the time). I’ve just gotten to the point where I’m ready for the crazy to be over so I can enjoy some me time. I also hoped to have my nieces and nephews over for a Gingerbread House party. I had it all planned out in my head. Cute table decorations. Coordinating desserts. Aprons with their names on them. 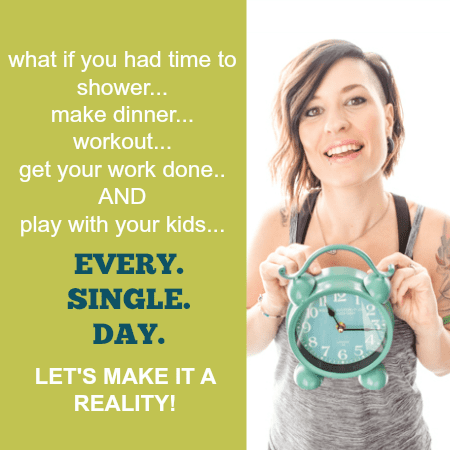 I wanted to go all out and be an awesome “pinterest mom.” But you know what – like I said, I’m just exhausted, and it’s enough for me to even remember to make our Elf on the Shelf move every night. Besides, Gingerbread houses just aren’t my thing anyway. I would love to say that I’m good at all that decorating stuff with all the icing and candies, but it’s totally not me. Mine would end up looking like a kindergartner decorated it. But I love the taste of gingerbread and still want to be able to enjoy those flavors. So I thought about it… Gingerbread cake. How about a trifle with cinnamon buttercream… meh, too unhealthy for my taste. Greek yogurt steps in and saves the day, filling in for the buttercream, and making me feel way better about eating a whole mini trifle by myself. 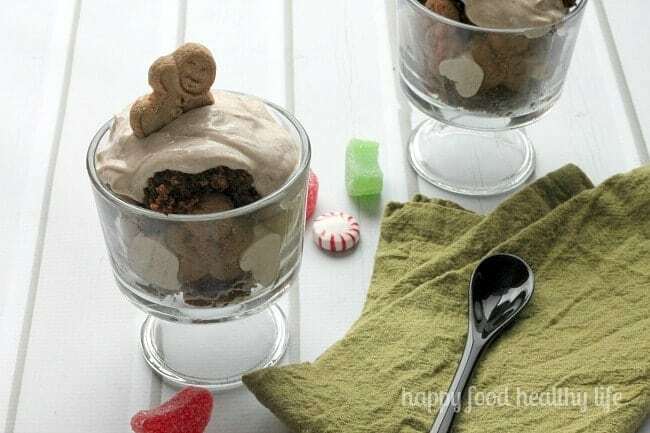 This dessert would be perfect served after Christmas dinner or even at a holiday party among friends. Cake can be made 1-2 days in advanced to save on prep time. Preheat oven to 350 degrees F. Spray 8x8 pan with nonstick spray, set aside. In a small bowl, combine the boiling water and baking soda; set aside. In a large bowl, sift together flour, baking powder, ground spices, and salt; set aside. In a bowl of an electric mixer fitted with the paddle attachment, cream butter until light. Beat in brown sugar until fluffy, 1 to 2 minutes. Beat in molasses, baking-soda mixture, and flour mixture, then beat in eggs. Pour into the prepared pan and bake for about 25-30 minutes, or until a toothpick inserted in the center comes out clean. Let cool completely before building the trifles. Make the yogurt mixture: Combine all ingredients completely and set aside or refrigerate until ready to build trifles. To build trifles, cut the cake into small cubes. Place one layer of cubed cake on the bottom of a small trifle dish. Line the outside of the dish with gingerbread man cookies or gingersnap cookies. Spoon yogurt mixture into the dish, ensuring that it pushes through the spaces between the cookies - so you can actually see the yogurt. Top with a few crumbled cookies and another layer of cake cubes. Top with another layer of yogurt and garnish with one more gingerbread man and some cookie crumbs. Did you enjoy this post? Don’t forget to share through Pinterest, Twitter, Facebook, or StumbleUpon with the buttons below! Using yogurt is such a good idea =) They look lovely, Holly! Thanks Lisa! I love how easy it can be to make healthy transformations to desserts. Great idea to use yogurt! YUM! These look delicious. Pinned! Thanks Blair! I’m loving my time off from blogging and just enjoying ME TIME!